Opal Katharine Markley, age 97, of Jackson Center, Ohio passed away at 9:23 A.M. Tuesday, April 9, 2019 at St. Rita’s Medical Center in Lima, Ohio. She was born in Shelby County Ohio May 11, 1922, to the late Albert L. and Emma M. (Wildermuth) Gross. On February 14, 1946 in Canton, Ohio, she married Ernest F. Markley and he preceded her in death January 15, 2004. Opal was also preceded in death by her siblings, Roy, Luella, Erma, Clara, Margaret, Stella, Edna, and John. She is survived by her sons, Roger (Linda) Markley of Anna, Ohio and Gene Markley of Jackson Center; grandchildren, Sharon (Lamar) Houston of Lima, Ohio and Jeff (Melissa) Markley of New Albany, Ohio; great grandchildren, Madison, Braelin, Ethan, and Lillian; a sister, Edan O’Quinn of Sidney, Ohio and several nieces and nephews. The family wishes to extend a special thank you to a special doctor, Dr. Susan Benes. 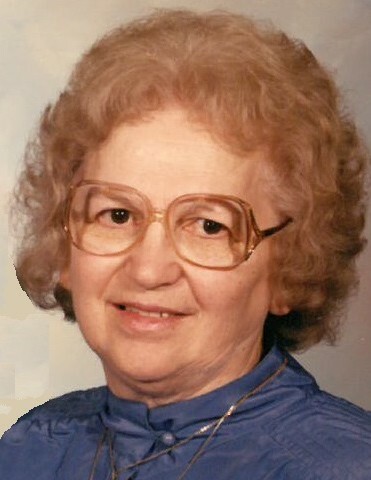 Opal was a member of the Grace Lutheran Church in Jackson Center. She and her husband Ernest both farmed their land and she was the farm operator who was also considered “the boss.” Opal loved to take care of her grandchildren. She enjoyed watching Billy Graham reruns and going with her son Gene to feed the ducks. All who loved and knew Opal will miss her. Pastor Michael Althauser will officiate the funeral service at 11:00 A.M. Monday, April 15, 2019 at the Eichholtz Daring & Sanford Funeral Home in Jackson Center. Visitation will be held one hour prior to the funeral service at the funeral home.